Founded by Prof Dhiya Al-Jumeily and Dr Abir Hussain, and now led by Dr Abir Hussain, the Group uses the application of computing for research and industrial projects. To achieve this goal, the Group develops software and hardware solutions for a variety of domains, from commercial and industrial solutions to experimental evaluation. The Applied Computing Research Group also enhances the School’s knowledge of software engineering. From the 1st of September, Dr Thar Baker Shamsa will be leading the Group. The group’s primary focus is the application of computing through research and industrial projects. The ACRG looks to achieve this with two main strands: to further the school’s research and teaching expertise in Software Engineering, and the application of software and hardware solutions to a variety of domains from commercial and industrial solutions to experimental evaluation. Applied Computing is the practice of embedding the realisation of Computer Science’s latest technological advancements into industrial, business, and scientific intelligent solutions. Applied Computing stretches to a variety of computing fields, requiring an extensive knowledge of the specialised subject area and in many cases large teams of trained individuals to put into production. Artificial Intelligence (AI) is considered as one of the major fields of Applied Computing. Artificial Intelligence has been introduced as an important tool in the implementation of Health and Medicines centred solutions as real world applications. 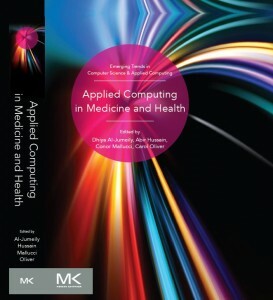 The potential for computing techniques, methods, and tools to support clinicians and healthcare professionals with assistance, expert advice, and critical decision-making was predicted more than four decades ago. Despite decades of research in this field, computer applications, intelligent computer applications and computer decision support systems receive limited use in healthcare systems. The various reasons include: usability, lack of technology and tools, and problems in integrating such tools with the demanding work that healthcare institutions provide. © 2010-2014 Liverpool John Moores University. All rights reserved.